I have a few election district boundaries layers across several different elections, and I am trying to ascertain whether/how much the district boundaries have changed over time. They are labeled with an ID but there is no guarantee that features with the same ID are in fact the same entity. My rough idea is that I should compare the shapes of the boundaries across years, and if their overlap is sufficiently large (say 90%), then I can consider them the same entity. I tried to google for an answer but being a novice I guess I just don't know the right keywords to search and couldn't find a way to achieve it. 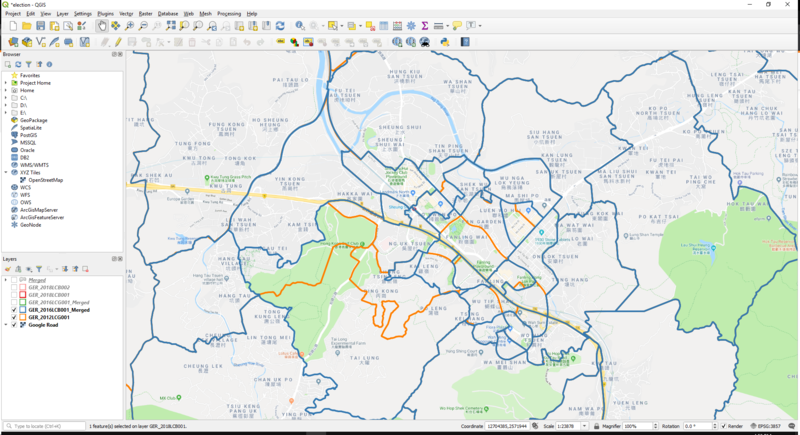 Browse other questions tagged qgis vector-layer or ask your own question. Counting polygons in one layer that are overlapping/touching/contained in each polygon in separate layer of contiguous polygons using QGIS? Obtaining ghost entities with difference tool? Why is number of entities displayed in Layers panel for particular layer different from actual number of entities in QGIS?